The range of goods and wares being sold is mind-boggling, from piranhas to perfumes and everything in between. Fruits, flowers, fish, crafts, herbs, sweets, spices, veggies, and meats. 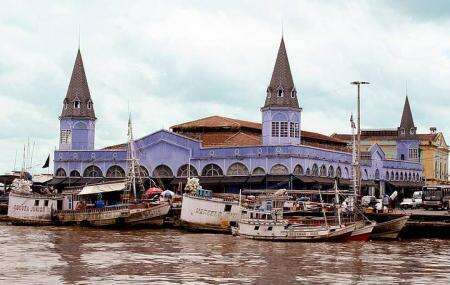 Always bursting with life, the market is indispensable on your Belem tour. People normally club together Estacao Das Docas and Corvette Museum Solimoes while planning their visit to Ver-o-peso. A amazing market. Very crowded and dirty. Hundreds of black vultures sit on the buildings scavenging on the rubbish. Quite an experience. A very bustling market with many different products from the Amazon. Amazing place to check the local amazonian fruits, fishes, juices, nuts, etc. An absolutely "must go" place if in Belém. We enjoyed very much this place. It's real, with popular food and things to buy. Good experience. Amazing place to eat açaí.